Lock in a great price for Plus Florence – rated 8.4 by recent guests! The room was spacious and clean. The breakfast for additonal money was good. So clean, staff is super nice, location is pretty ideal. I’ve stayed in a lot of hostels, and I’ve lived in Florence. Plus is definitely a great option for a good price. About a 10 minute walk from Firenze SMN station, which was very convenient. 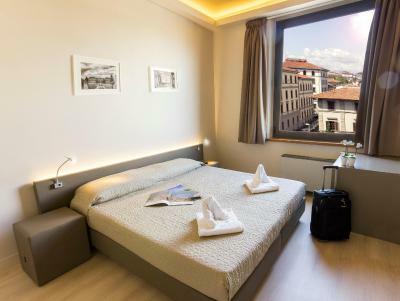 Firenze is a walkable city, so this hostel was in an ideal location, walkable to everything. Super friendly staff in a very clean hostel. The facility was beautiful and is probably really nice when weather is good and can be outside. Location is also great and staff was super helpful about getting around the city and recommendations. This place is really amazing! They have basic amenities and much more, including a pool, turkish bath, bar, and a place to eat. The staff are very generous and the bed is really nice. The locker is pretty big to put a lot of stuff in and the shower has nice hot water. The terrace of the place is amazing, especially watching the sunset from there. It has such a nice view! I had food at the hostel restaurant and it is pretty good for hostel food. 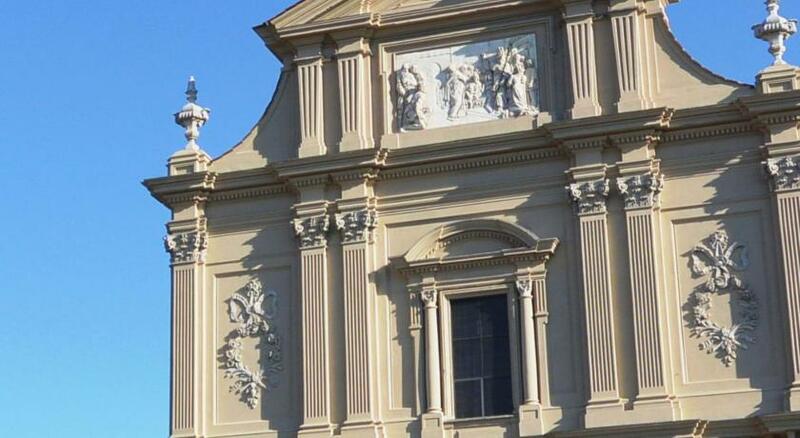 It is close to a grocery store and walkable to all places, being as close as 9 minutes to the Michelangelo Musuem. This place is great and I would recommend for anyone to stay here! 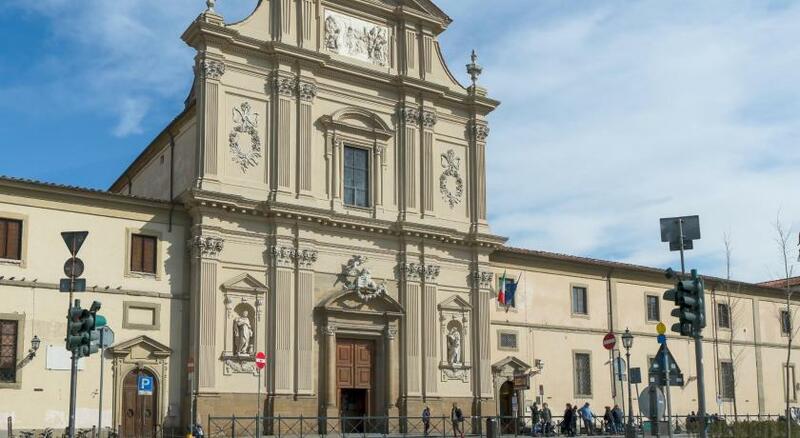 Big family hall with four beds at a convenient location, just a 12 minute walk from Firenze SMN station Area is close to the Accademia, Piazza San Lorenzo, and Mercato Centrale (great food place!). Fifteen minute walk to the Piazza del Duomo. If you take the city sightseeing bus, it is close to stop 17 at Piazza Independenza. 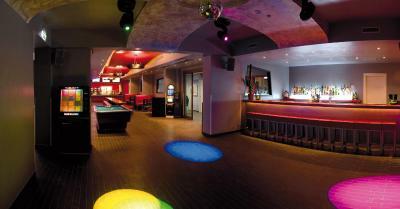 The place was large and the hangout areas were very separate from the room areas. I only stayed here one night and didn’t use the amenities like pool, gym, sauna, but would recommend this for a longer stay because of that. The linens provided were clean and comfortable, every bed had its own outlet and reading light. The lockers were large (but you have to bring your own lock). This is by far the best hostel I’ve stayed at with the nicest amenities. They have everything from spa, gym, cafeteria that serves very nice breakfast and dinner to luggage storage, printing, and guided tour info. There are plenty of lockers, soap, shampoo, body wash, towers and linens in the room. Lots of elevators. Seperate toilet room. Seperate shower room. Each room and dormitory at Plus Florence features a flat-screen TV, air conditioning and a private bathroom. Guests have free use of the fitness area, and during winter they also enjoy a Turkish bath, sauna and an indoor pool. The shared area is equipped with a microwave, fridge and vending machines. A full English buffet breakfast is available until 11:00 at Plus Florence. The café provides drinks, snacks and ice creams during the day, while the restaurant serves pizza and other Italian dishes at dinner. 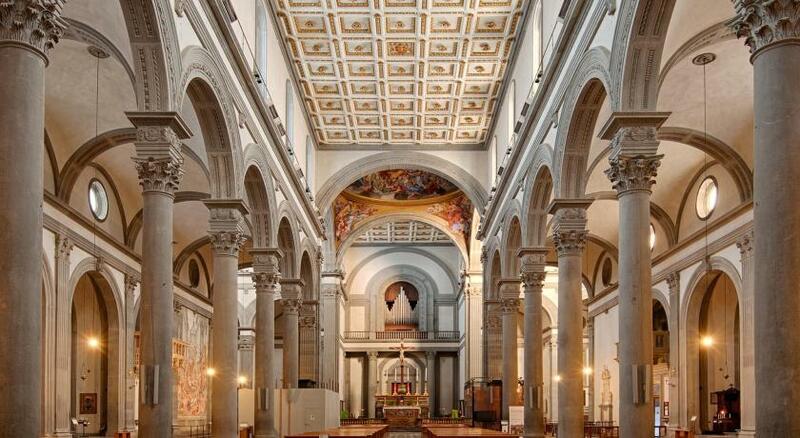 Fortezza da Basso exhibition center is 1,950 feet from the hostel, while Uffizi Gallery is a 12-minute walk away. 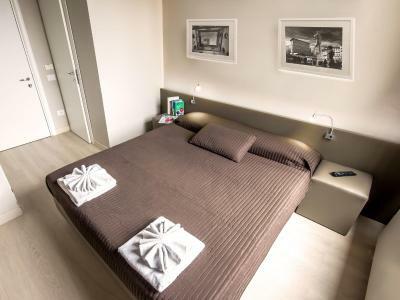 When would you like to stay at Plus Florence? Private room with flat-screen satellite TV and a private bathroom. 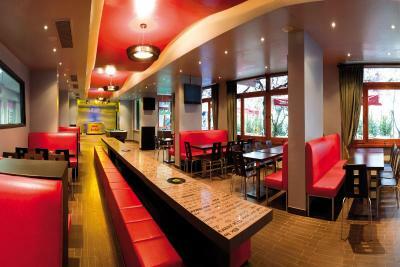 Spacious, air-conditioned dormitory with LCD TV and free Wi-Fi. The beds come with crispy, white linens, cozy fleece blankets, and pillows. The shared bathroom is en suite. This bed in a dormitory with bunk beds features a satellite TV and air conditioning. The shared bathroom is en suite. 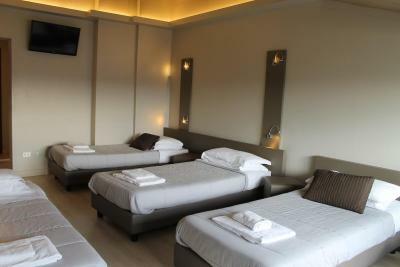 This room features air conditioning and a flat-screen TV with satellite channels. This bed in a dormitory with bunk beds features tiled floors, a satellite TV and air conditioning. The shared bathroom is en suite. This twin room has a tile/marble floor, satellite TV and air conditioning. This dormitory features air conditioning and tile/marble floor. The shared bathroom is en suite. House Rules Plus Florence takes special requests – add in the next step! Plus Florence accepts these cards and reserves the right to temporarily hold an amount prior to arrival. 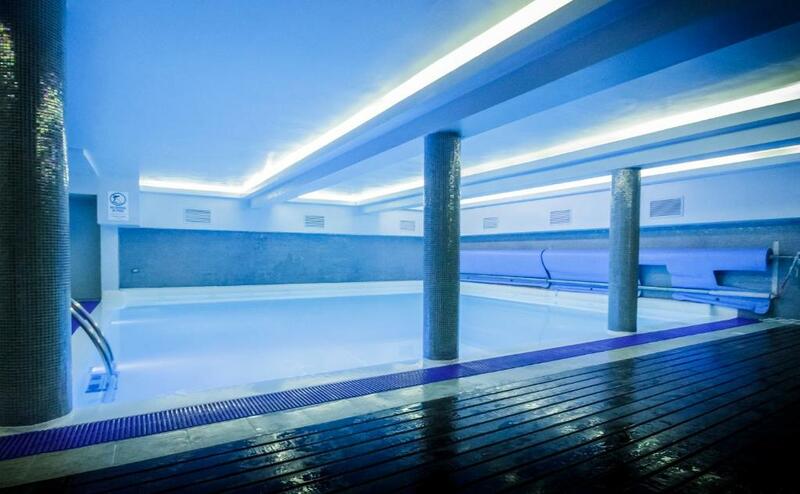 Please note, the indoor pool, sauna and Turkish bath are only available in winter. During summer, an outdoor pool is available. The room was not as expected as you see on the pictures. Got a room beside the road and during the night was hearing vehicles by the main road from time to time. Good, clean and comfortable property. During cleaning my room they threw away my sprouts kept in a maggie cup along with spoon into the dustbin. Also, the lighting system in the room was very dim. I liked the facilities provided by Plus Florence. Flavian was great! Took great care of us! Would like to have a full kitchen. Light switches and key cards were confusing at first. Liked the lockers and that the bathrooms were in the room with separate toilet and shower room. Other guests in our women’s only room were very nice and friendly. Staying for 3 night.. first and second night im staying with same room mate..until 3rd night,,3 of them check out,room has been clean,i get new towel,then the next day when get ready for check out, I could’t fine my foundation brush..later on, i realize my eye brow liner cant be found too..and yes,i didnt put my toiletries in locker since prev night nothing happen..
First room overlooked an office block and was noisy; moved to a second room where the shutters didn't work; moved to a third room which was perfect overlooking courtyard and wisteria! Convenient location for all the main sights in Florence. Ideal for families and young people. Bed. Cupboard and window doors very sharp. Not super welcoming. No social atmosphere. Not very close to the heart of Florence. Location is very good, near station and view. The facilities werent good. The plug at my friends bed wasnt working, so she couldnt charge her phone at the night. The front desk was always busy having to check in guests so if you had to request a hair dryer you may have to stay in the line for half an hour!